09/21/2011 -  CALGARY ROUGHNECKS: Have traded their 6th round selection in the 2011 Entry Draft to the Buffalo Bandits in exchange for their 6th round selection in the 2012 Entry Draft. 09/21/2011 -  CALGARY ROUGHNECKS: Have traded their 5th selection overall in the 2011 Entry Draft to the Rochester Knighthawks in exchange for Shawn Evans and a first round selection in the 2012 Entry Draft. 09/12/2011 -  MINNESOTA SWARM: Have traded John Sanderson and Nick Inch to the Toronto Rock in exchange for Jeff Gilbert, a first round selection in the 2012 Draft, the 9th selection in the Dispersal Draft, the 12th overall selection in the 2011 Entry Draft. 09/12/2011 -  EDMONTON RUSH: Have traded their 9th overall selection in the 2011 Entry Draft and a first round selection in the 2012 Entry Draft to the Buffalo Bandits in exchange for Chris Corbeil. 08/09/2011 -  PHILADELPHIA WINGS: Have traded the 20th overall pick (3rd round) in the 2011 Entry Draft and their 2nd round selection in the 2013 Entry Draft to the Minnesota Swarm in exchange for Minnesota's 19th overall pick (2nd Round) in the 2011 Entry Draft and Minnesota's 3rd round selection in the 2013 Entry Draft. The 19th pick in the 2011 Entry Draft acquire by Philadelphia is hereby deemed assigned to Calgary to complete the Paul Dawson trade of October 5, 2010. 07/25/2011 -  WASHINGTON STEALTH: Have traded Luke Wiles to the Buffalo Bandits in exchange for the 23rd overall selection in the 2011 Entry Draft and a second round selection in the 2012 Entry Draft. 07/13/2011 -  COLORADO MAMMOTH: Have traded Dan Carey, their 28th overall pick in the 2011 Entry Draft and their first round selection (originally Rochester) in the 2013 Entry Draft to the Toronto Rock in exchange for Creighton Reid, Mat MacLeod and the 9th and 14th overall picks in the 2011 Entry Draft. 07/13/2011 -  MINNESOTA SWARM: Have traded Kevin Croswell, Ryan Cousins, Aaron Wilson and their 10th overall pick in the 2011 Entry Draft to the Edmonton Rush in exchange for the 6th and 31st picks in the 2011 Entry Draft and their second round selection in the 2012 Entry Draft. 03/15/2011 -  EDMONTON RUSH: Have traded Gavin Prout to the Colorado Mammoth in exchange for Mike McClellan and a first round selection in the 2011 Entry Draft. 03/15/2011 -  COLORADO MAMMOTH: Have traded Cliff Smith to the Washington Stealth in exchange for Joel Delgarno, Ian Hawksvee and a third round selection in the 2011 Entry Draft. 03/05/2011 -  ROCHESTER KNIGHTHAWKS: Have traded Matt Zash to the Philadelphia Wings in exchange for their 5th and 6th round selection in the 2011 Entry Draft. 02/09/2011 -  COLORADO MAMMOTH: Have traded Jamie Shewchuk and their 4th round selection in the 2012 Entry Draft to the Minnesota Swarm in exchange for Tim Campeau and a second round selection in the 2011 Entry Draft. 12/28/2010 -  BOSTON BLAZERS: Have acquired the rights to Toronto Rock Coach Matt Sawyer for two second round selections in the 2011 Entry Draft and a second round selection in the 2012 Entry Draft. 12/09/2010 - [X] ROCHESTER KNIGHTHAWKS: Have traded Matt Danowski to the Philadelphia Wings in exchange for a 4th round conditional selection in the 2011 Entry Draft. 10/27/2010 -  COLORADO MAMMOTH: Have traded Cory Conway to the Calgary Roughnecks in exchange for Matt King and their second round selection in the 2011 Entry Draft. 10/27/2010 -  ROCHESTER KNIGHTHAWKS: Have traded John Grant, Mac Allen, their first round selection in the 2011 Entry Draft and their first round selection in the 2013 Entry Draft to the Colorado Mammoth in exchange for Matt Vinc, Matt Zash, Brad Self, and their first round selection and third round selection in the 2012 Entry Draft. 10/06/2010 -  CALGARY ROUGHNECKS: Have traded Tracey Kelusky and their third round selection in the 2011 Entry Draft to the Buffalo Bandits in exchange for a first round selection in the 2011 Entry Draft. 10/05/2010 - [19a] CALGARY ROUGHNECKS: Have traded Paul Dawson to the Philadelphia Wings in exchange for a conditional second round selection in the 2011 Entry Draft. 09/28/2010 -  CALGARY ROUGHNECKS: Have traded Devan Wray to the Edmonton Rush in exchange for their sixth round selection in the 2011 Entry Draft. 09/08/2010 -  BUFFALO BANDITS: Have traded their sixth round selection in the 2011 Entry Draft to the Toronto Rock in exchange for their 60th selection in the 2010 Entry Draft. 09/08/2010 -  TORONTO ROCK: Have traded their third round selection in the 2011 Entry draft to the Minnesota Swarm in exchange for their 34th selection in the 2010 Entry Draft. 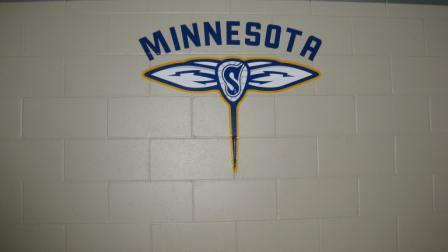 09/09/2010 -  MINNESOTA SWARM: Have traded their 13th selection in the 2010 Entry draft and their third round selection in the 2011 Entry draft to the Buffalo Bandits in exchange for their 15th selection in the 2010 Entry draft and the 27th selection in the 2010 Entry draft. 08/23/2010 -  MINNESOTA SWARM: Have traded Jay Thorimbert and Scott Self to the Buffalo Bandits in exchange for their first round selection in the 2012 Entry Draft and a second round selection in the 2011 Entry Draft. 08/19/2010 -  WASHINGTON STEALTH: Have traded Matt Zash to the Colorado Mammoth in exchange for their third round selection in the 2011 Entry Draft. 08/13/2010 -  CALGARY ROUGHNECKS: Have traded Jeff Moleski to the Washington Stealth in exchange for their first round selection in the 2011 Entry draft. 08/12/2010 -  BOSTON BLAZERS: Have traded the rights to match the Toronto Rock's offer to Restricted Free Agent Paul Dawson to the Calgary Roughnecks for their 4th round selection in the 2011 Entry Draft. 08/09/2010 -  MINNESOTA SWARM: Have traded Tim O'Brien to the Toronto Rock in exchange for a second round selection in the 2011 Entry Draft. 08/06/2010 -  BOSTON BLAZERS: Have traded Brenden Thenhaus and their first round selection in the 2011 Entry Draft to the Buffalo Bandits in exchange for their first round selection, 6th overall, in the dispersal draft. 02/02/2010 -  BOSTON BLAZERS: Have traded Mike Poulin to the Calgary Roughnecks in exchange for their first round selection in the 2011 Entry Draft. 02/02/2010 -  CALGARY ROUGHNECKS: Have traded Chris Levis to the Colorado Mammoth in exchange for their second round selection in the 2011 Entry Draft. 11/10/2009 -  ROCHESTER KNIGHTHAWKS: Have traded Gavin Prout and Dean Hill to the Edmonton Rush in exchange for their first round selection in the 2011 Entry Draft and a conditional second round selection in the 2011 or 2010 Entry Draft. 10/14/2009 -  MINNESOTA SWARM: Have traded Aaron Bold, Ian Rubel and the rights to 2009 Entry Draftee Cody Johnson to the Rochester Knighthawks in exchange for 2009 Entry Draftee Ryan Hoff and their second round selection in the 2011 Entry Draft. 08/13/2009 -  BOSTON BLAZERS: Have traded Jay Thorimbert to the Minnesota Swarm in exchange for their second round selection in the 2011 Entry Draft. 07/07/2009 -  PHILADELPHIA WINGS: Have traded Peter Jacobs and their second round selection in the 2011 Entry Draft to the Toronto Rock for Kevin Huntley and Bill McGlone. 07/07/2009 -  WASHINGTON STEALTH: Have traded Kevin Huntley and their second round selection in the 2011 Entry Draft to the Toronto Rock in exchange for Luke Wiles.